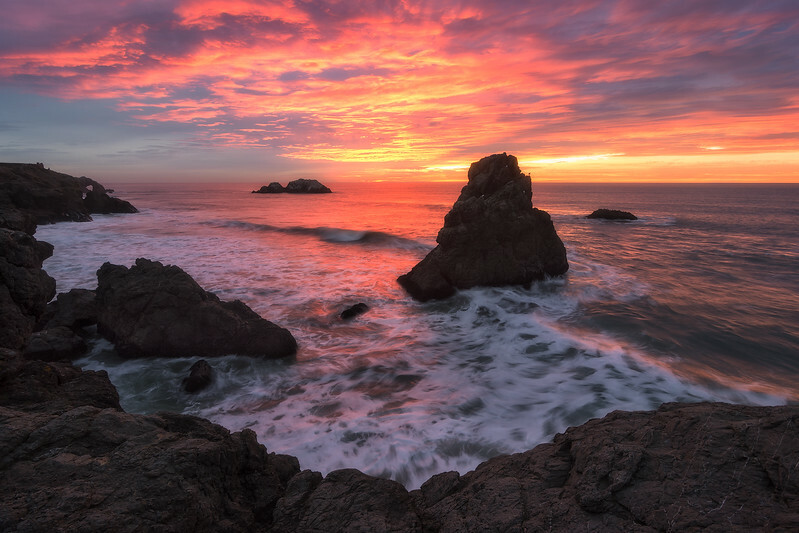 A stormy sunset at Lands End in San Francisco California. On this evening the sun's light unexpectedly filtered through a small gap on the horizon igniting the storm clouds overhead. January 2018.